Being lucky enough to live in such a beautiful city, it’s hard to let a day go by without taking a photograph of Edinburgh. It’s full of little gems and secret snippets of history. It’s no surprise that it makes for such a wonderful place to photograph, and of course, making it perfect for those all important Instagram snaps. 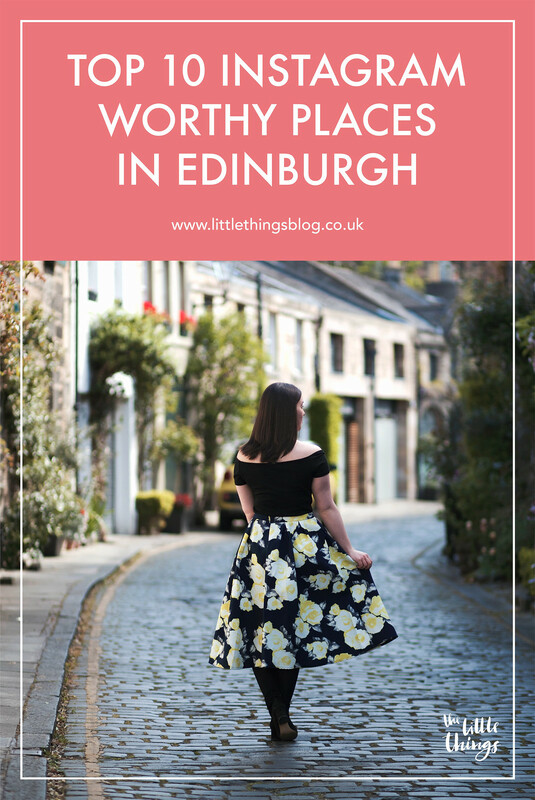 Here’s a list of my top ten most Instagram-worthy places to photograph in Edinburgh. For whether you’re a well-seasoned local, or planning your next visit. Everyone knows Edinburgh for it’s castle, but there’s more to it than just the views from the top. One of my favourite views is at the base of the castle cliff from Grassmarket in the Old Town. It gives you a real perspective of it’s scale and dramatic features over the city skyline. Forever one of my ultimate house goals, Circus Lane in Stockbridge is arguably the most beautiful street in Edinburgh. These elusive mews houses are picture perfect and the cobbled street is lined with flowers. It’s a little secret gem for the locals, and it’s somewhere I aim to take a walk down at every opportunity! Edinburgh is surrounded by hills, but Calton Hill is one of my favourites. It doesn’t require much effort to reach the top, and the 360 views are fantastic. You can expect to see out to the Forth Road Bridge on a clear day, and it gives a great view down Princes Street and one to the castle and Arthurs Seat. Pack a picnic and enjoy the views for an afternoon. Arguably the most colourful street in all of Edinburgh, you’ll find Victoria Street just off Grassmarket and leading up to the Royal Mile. Lined with pretty boutique shops and independent cafes you’ll be sure to find something to take your fancy. Head onto the upper level for a view down the winding road and do a spot of people watching. The prettiest of mews houses 🏡💐 when can I move in? Off to meet the girls for some lunch today ☺️🍴what are your weekend plans? Can you tell I have a love for mews houses yet? 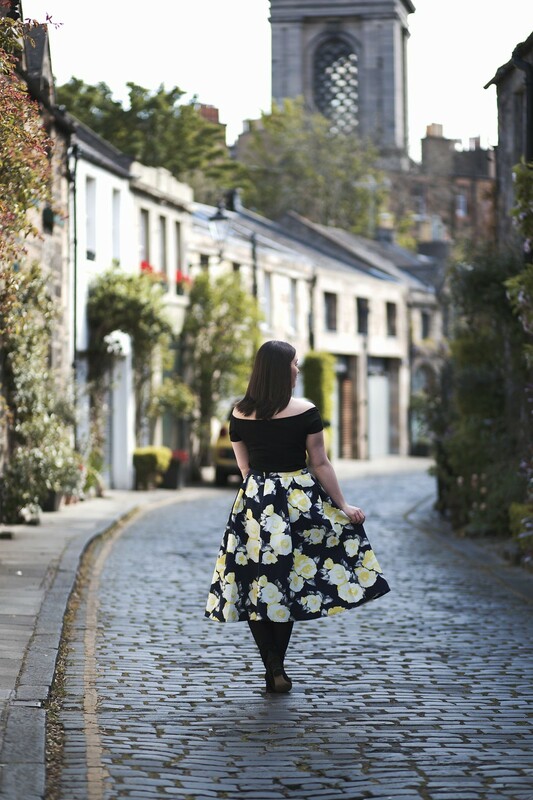 For more mews house prettiness head to Belford Mews, a tiny side street on the way down into the Dean Village. A quiet little spot away from the hustle and bustle of the city above. The National Museum of Scotland is one of my all time favourite museums in Edinburgh. Not only is it a fantastic free museum, but it also provides great views from the roof terrace on the top level. Or head to the ground floor universe exhibition and find yourself lost in space. A short walk from the likes of Belford Mews in the West End, is the tranquil spot of the Dean Village. A love amongst locals alike, it’s the perfect picturesque place to unwind after a busy week. Follow the walk along the flow of the river to Stockbridge and further towards Leith. From the Dean Village you can also reach the Modern Art Galleries. Taking a wander around Holyrood Park this afternoon with Luke 😊☀️ just look at those lovely skies! Needless to say, Arthurs Seat is unmissable in the city. One of the few places in the world where you’ll also find an extinct volcano a stones throw from the city centre, it’s a sight to behold. Start your adventure in Holyrood Park and admire the view from the base before hiking up. For a spot of peace and quiet and some truly beautiful greenery, take a visit to the Royal Botanical Gardens. Ideal for getting lost amongst the plants and taking some time to breathe, it’s a source of endless photo opportunities. One of my favourite views in the city, from the vennel leading to the Grassmarket ☺️🏰 we have friends staying with us for the long Easter weekend, so today we are off exploring around the city. What do you have planned? Just up from the Grassmarket you’ll find a slightly hidden set of rather steep steps along the Vennel. It’s worth the climb to the top to experience the view across to the castle. From here you can also reach the Meadows. Will you be visiting Edinburgh any time soon? Where are your favourite places to photograph in your city?